World Muaythai Council » Buakaw goes up one place in the Rankings! 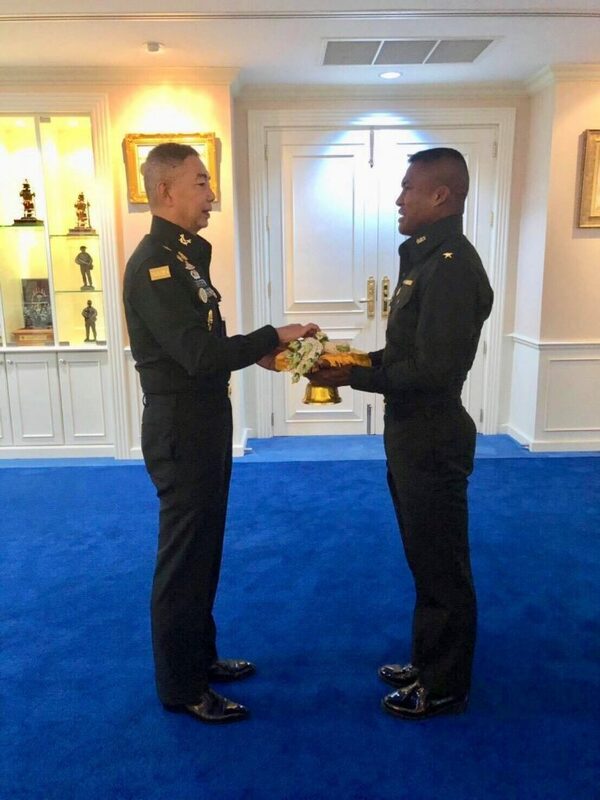 Buakaw whose real name is Sombat Banchamek was officially welcomed by the army on the 13th February and bestowed the title of Second Lieutenant in honour of all the military boxers around the world and his dedication and commitment to the sport. 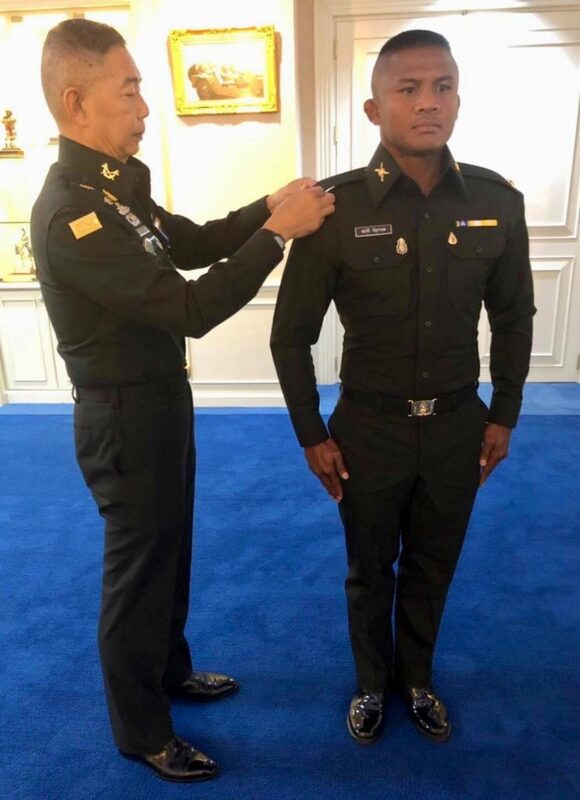 After receiving the rank of private first class 4 years ago the military felt that due to Buakaw’s ongoing dedication to serve his country it was time for him to receive further advancement within the military family. Apirat Kongsomphong, Commander-in-Chief granted the title in an official ceremony where Corporal Sombat Banchamek stood respectfully to attention. 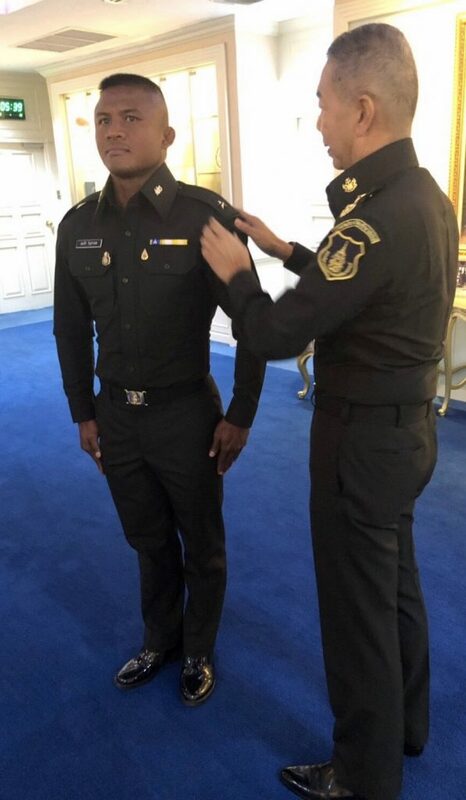 Buakaw stated that as a Thai man he is happy and proud to serve the country and will do his best to comply to the tasks assigned by the army. 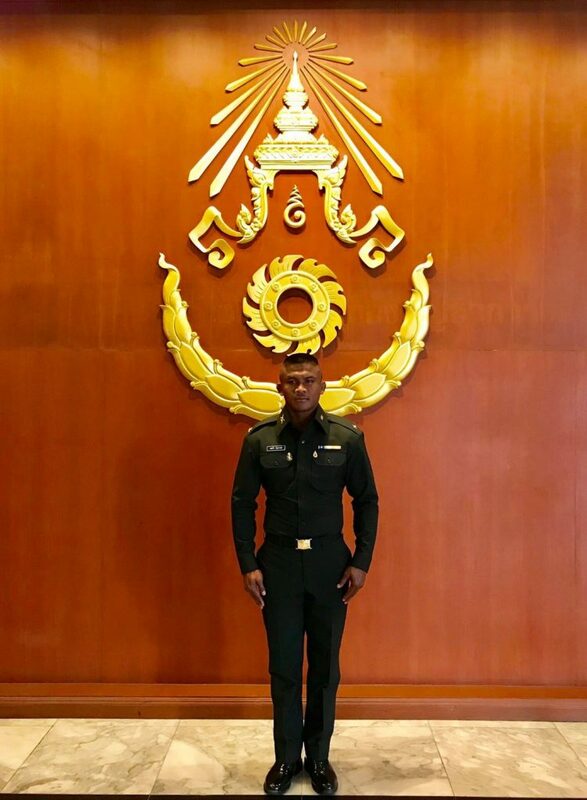 From all at the WMC we congratulate Buakaw on his appointment to second Lieutenant in the Thai army. This entry was posted on Thursday, February 14th, 2019 at 3:29 PM	and is filed under News.